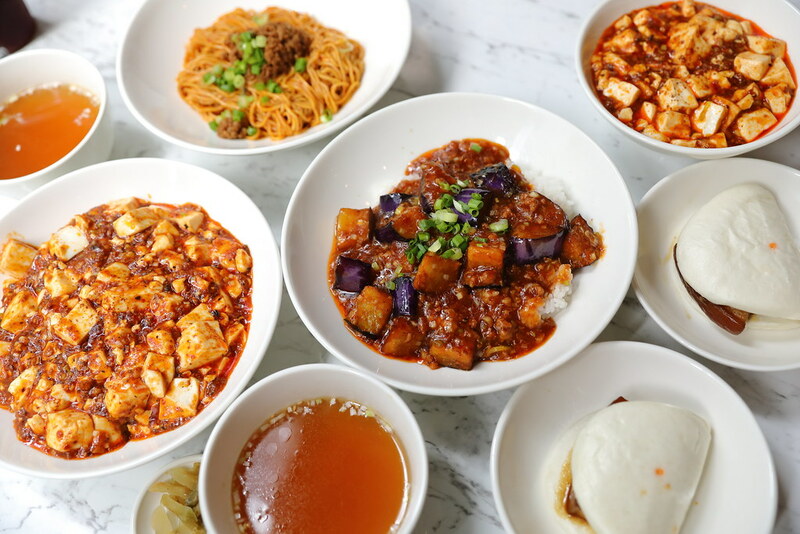 If you find it too expensive to dine at Michelin 2-Star restaurant Shisen Hanten by Chef Chen Kentaro at Mandarin Orchard, you will be glad to know that he has opened an offshoot called Chen's Mapo Tofu offering casual dining priced dishes at OUE Downtown Gallery. 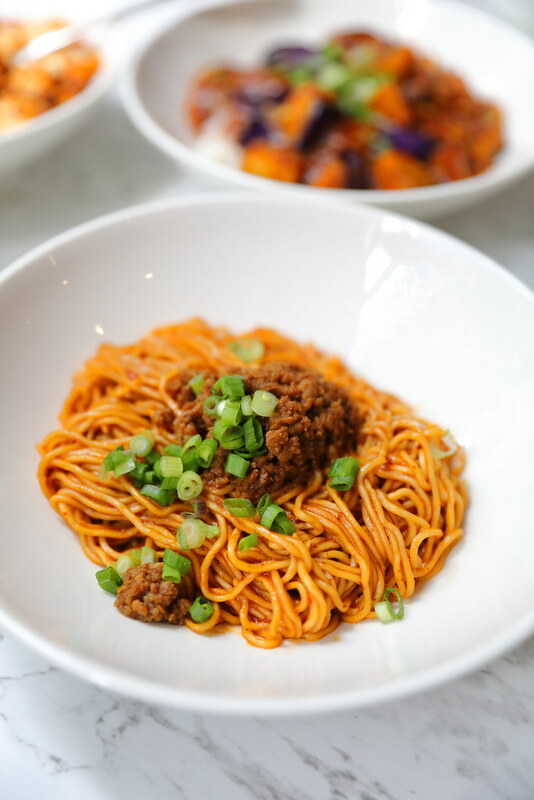 A dish I have heard so much about is Chef Chen's signature Mapo Tofu. I am glad that I can finally try his rendition at Chen's Mapo Tofu at a very affordable price. Jumping on the wagon of rice bowls, the Mapo Don ($8.80) comes in huge plate topped with the signature mapo tofu. Sichuan cuisine is usually known for its spiciness but this is quite subtle without the mala. The highlight for me is actually the Dou Ban Jiang (broad bean paste) sauce that is packed with depth, it complemented the silky tofu excellently. I am glad that I made the decision to order an extra bowl of the Chen's Signature Mapo Tofu ($6). 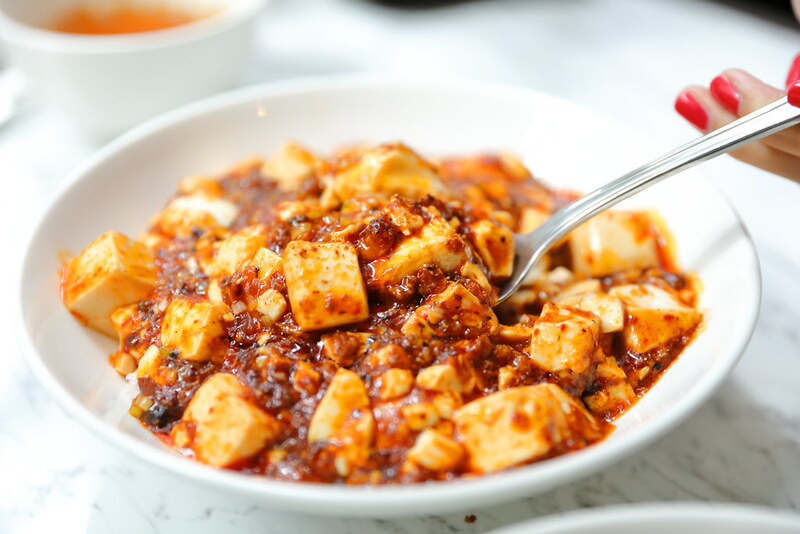 We could not get enough of the delicious mapo tofu. The other rice bowl we tried is the Nasu Don ($10.80) which is non spicy. 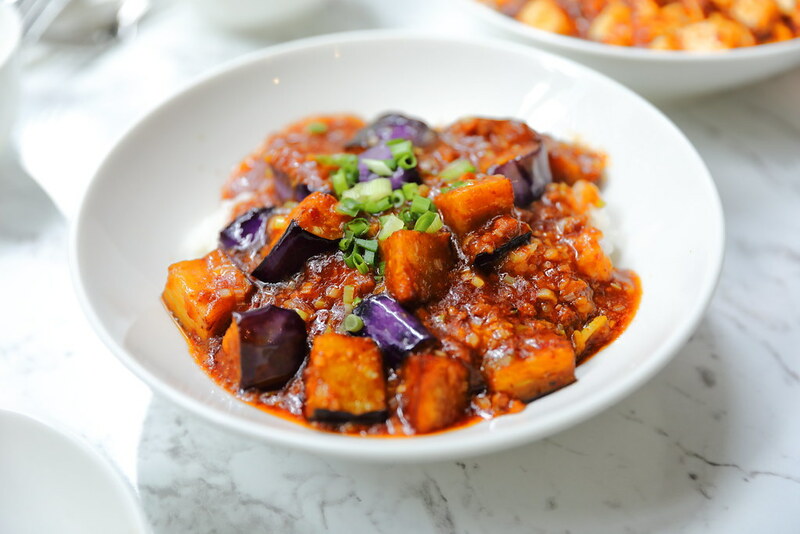 The eggplant is cut into cubes and covered in a generous serving of minced meat sauce. 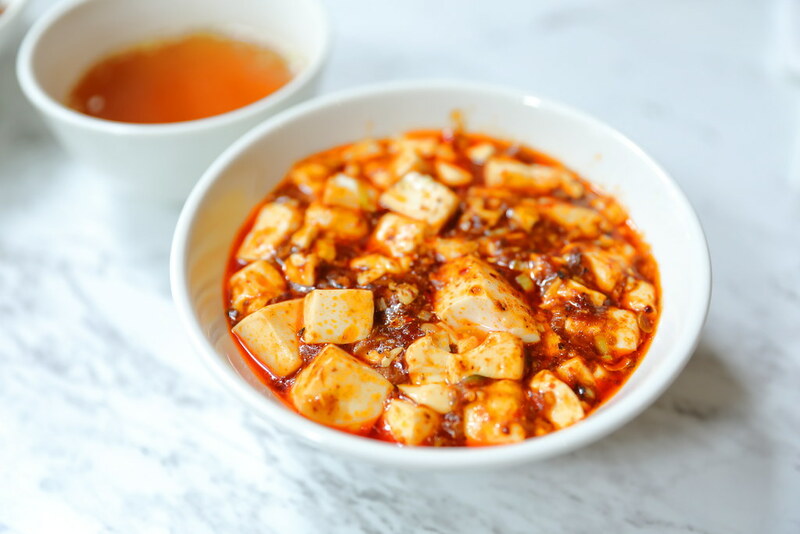 While the sauce is not as robust as the mapo tofu, it is still a hearty and comforting rice bowl for a satisfying meal. 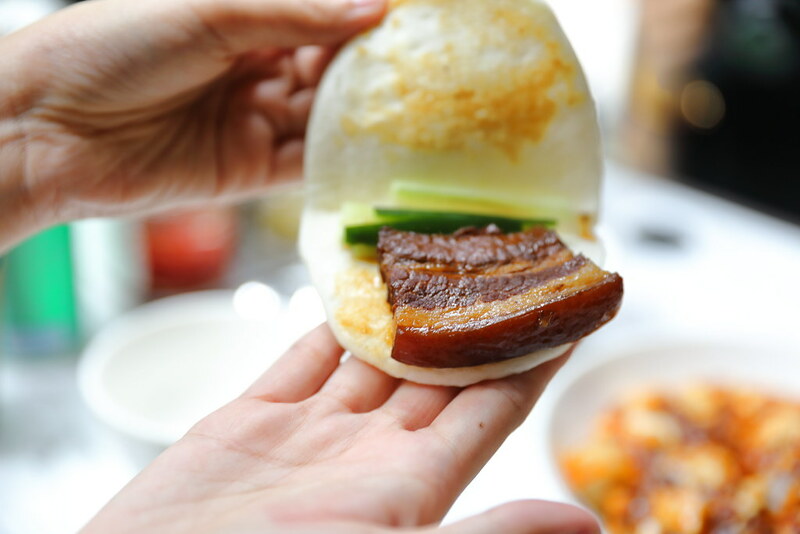 Besides the rice bowls, we also ordered the Braised Pork Belly ($3 each) to try. While the pork belly is braised and cooked to a nice fork tender, we thought this is rather pedestrian. Nothing much to shout about. Last but not least we had the Dan Dan Mian Dry ($8.80). I felt that the noodle was a bit dry and lumpy. We need to pour some soup into it to separate the noodles. Taste wise it was a bit foreign to me. I still need time to appreciate the sweet and nutty peanut sauce. Overall, I think that Chen's Mapo Tofu will be a hit. The concept of rice bowls and the affordable pricing fits the bill perfectly for the office crowd in the CBD area.